Starring: The vocal talent of: Ray Romano, John Leguizamo, Denis Leary, and more. 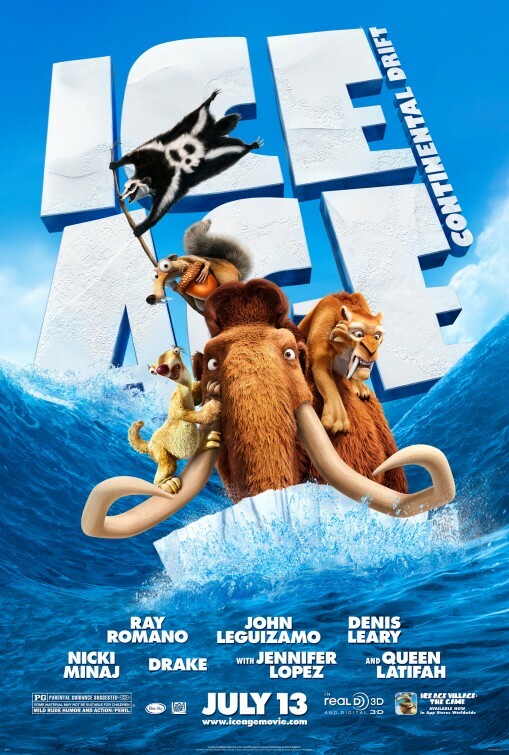 The Ice Age franchise (which debuted ten years ago) introduces the fourth in the series with Ice Age: Continental Drift. This time around, the highly unlucky odd group of prehistoric animal friends must work together as yet another cataclysmic event threatens their families, homes, and ways of life. Does this seem familiar? 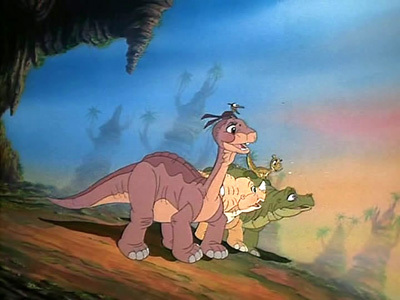 Yes, we saw it happen in the previous 3 films (not to mention others such as “Land Before Time” and “Dinosaur”). 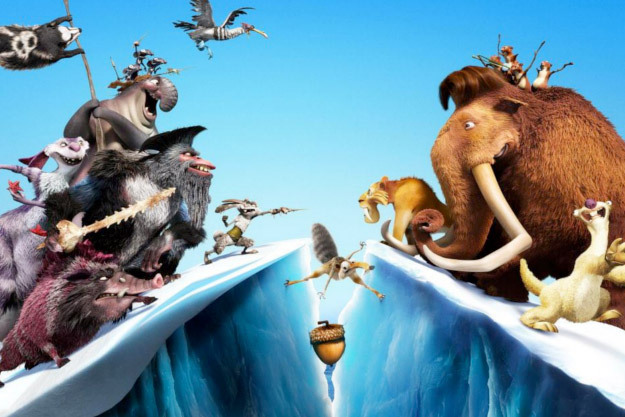 Ice Age: Continental Drift floats in familiar territory in this recycled story that dates back to the dawn of time, however, kids will enjoy the summer’s final animated full feature. Retaining the vocal talent from the previous films remains a plus for this entire series. Though seemingly miscast (Some of their voices never really matched the characters to me), the use of the same actors for each character helps with continuity and can be appreciated. In addition to a continued cast, Ice Age: Continental Drift carries with it a message of family and a strong emphasis on friendship. These positive messages are great to see in Hollywood films geared towards children. 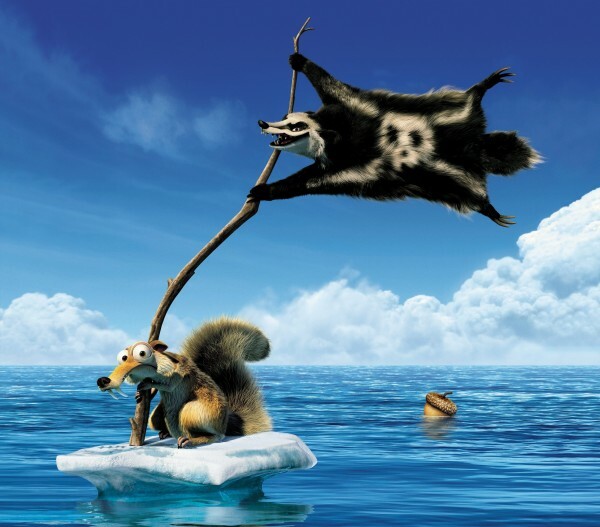 Laughs, though not abundant, are present while watching this film (Scrat, the acorn-chasing pre-jurassic squirrel, being the cause of most of the laughter). 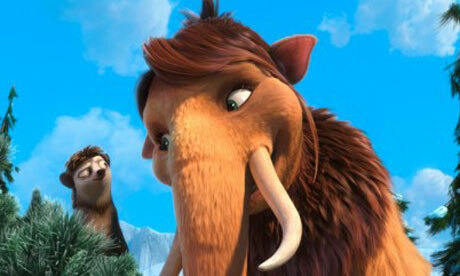 “\Ice Age: Continental Drift’s main problem lies in the multiple plots tossed in order to grab older audience members’ attention. A mixture of stories ranging from youth-inspired boyfriend/girlfriend issues, dealing with a “senile” grandma, bullying pirates, father-daughter relationships, and mammoths sleeping while hanging from trees by their tails, causes the plot as a whole to be muddled up and confusing. See it if you wish, but be warned. Adults, all you REALLY need to see is the trailer…in my opinion. haha. 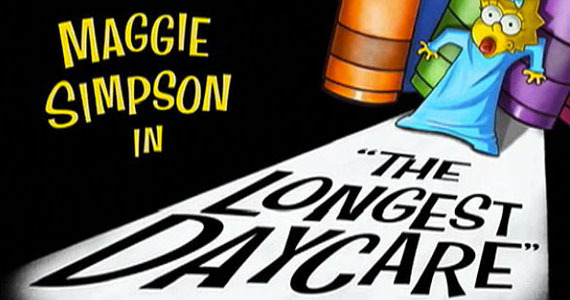 But, if The Dark Knight Rises, The Amazing Spider-Man, Moonrise Kingdom, or Brave are all sold out, then consider this one to take your kids to. But, if you are movie-seeking sans little crumbsnatchers then don’t pay $6-$15 for this sleep session. I just have no interest in seeing this film. The rest of the franchise has been affable at best. Good to see my thoughts affirmed by someone who has seen it. Hi Sam! Yep, save yourself the time and money on this one. It’s nothing new.